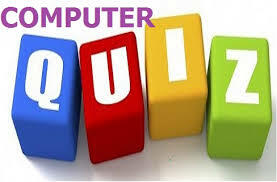 1.Software allows users to perform calculations on rows and columns of data. 2.The_____stored on a ROM chip, is responsible for loading the operating system from its permanent location on the hard drive into RAM. 4. The ……… button on the quick access Toolbar allows you to cancel your recent commands or actions. 5.During the boot process, the _____ looks for the system files. 8. Several views are available in MS Front Page. Which one of the following is NOT a valid view ? 10. A function inside another function is called a ….. Function.